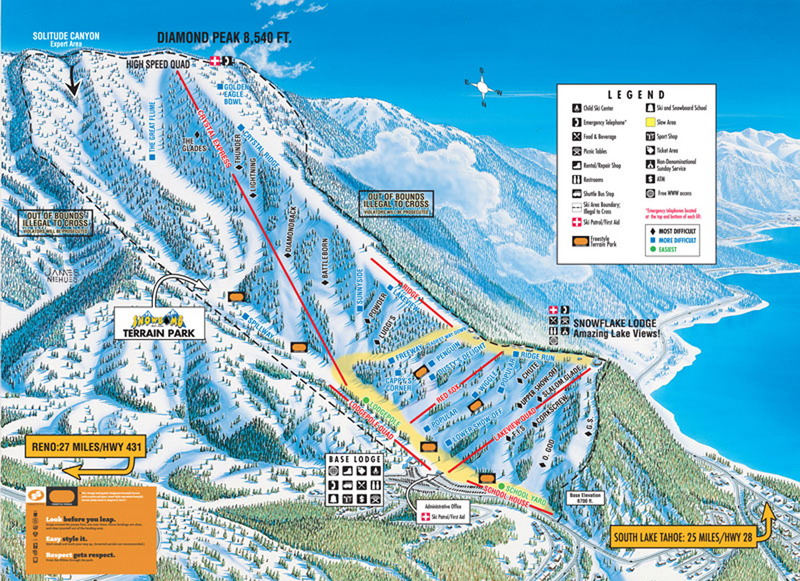 Diamond Peak is the smallest of the 10 Tahoe resorts that made our list. 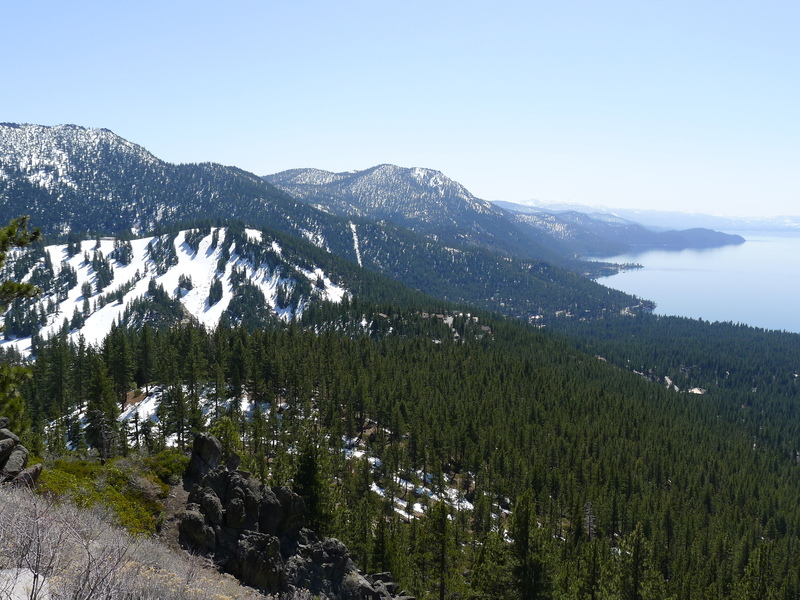 Diamond Peak is only 33 miles from our house is South Lake Tahoe, located in the northeast corner of the basin. Sadly, there is only one reason we ever go there, which is to save money. When the kids were younger they had really good deals on lift tickets for kids, and their adult lift ticket was cheap too. We have also gone there a couple of times when we had people visiting who wanted to take ski lessons but didn’t want to spend a lot. The ski resort is a small (by Western US standards) resort which caters mostly to families. Still there is actually some pretty great terrain on the upper mountain served by the Crystal Express lift to keep Mom or Dad interested while the other parent watches the kids. Crystal Ridge is the main blue run off the top. Most of the rest are bumped-out most of the time, but they always groom Crystal Ridge. The only high-speed lift is the Crystal Express. The 2 non-beginner lifts on the lower mountain are short and slow, but that area actually faces due north which retains the snow quality a little better than anywhere else. There are 7 or 8 blue and black runs off of 2 lifts on the lower mountain which are fairly entertaining. The most notable thing about Diamond Peak is the lake view. The lake is visible from most of the runs. There is a lot to like about the low prices for lift tickets and lessons. 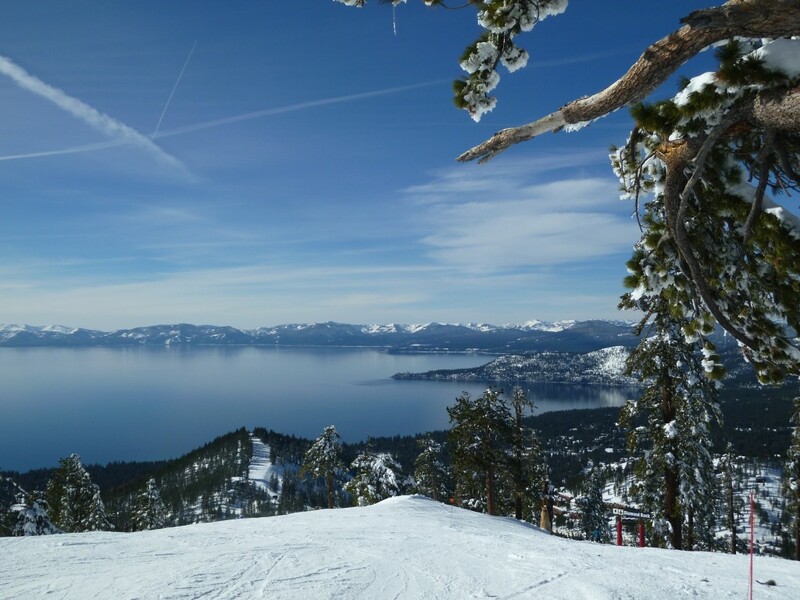 The lack of crowds distinguishes it from most of the other Tahoe resorts. 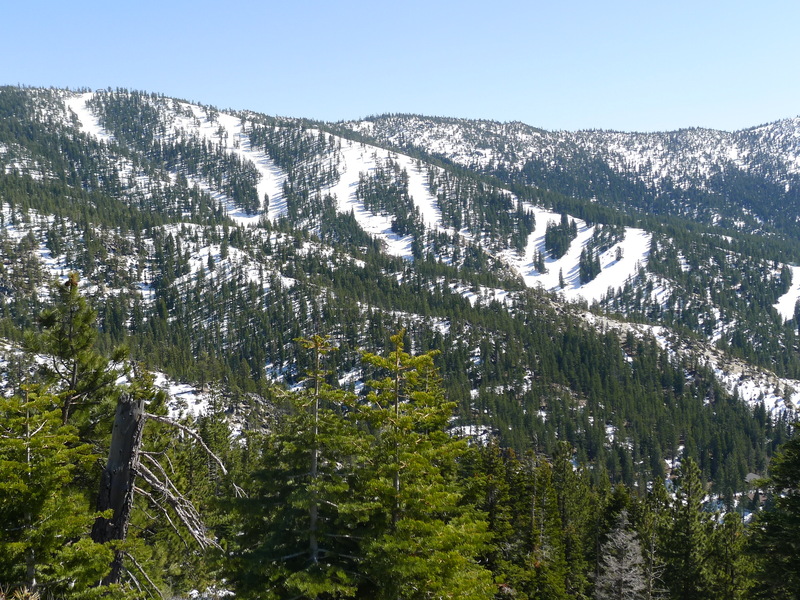 The biggest problem is that Diamond Peak is in the least snowy area of Tahoe, and along with the low elevation (8540′ at the peak), the snow is either very thin or icy a lot of the time. It is the smallest of the Tahoe resorts so there just isn’t that much variety available. Take a run down Crystal Ridge and marvel at the lake view. Diamond Peak is a small family style resort that is still independently owned with reasonable prices for day tickets and lessons. This makes it a valuable resource for locals and visitors just looking for a fun place to spend a day or 2 with the family. There is even some challenge there which makes it a great place for groups of different ability levels.